Remember, “Chiavari” is a style of chair, not a brand. There are so many companies selling Chiavari Chairs, so it can be difficult to know who will give you a reliable product. Price is generally a good indicator for quality. Purchasing a cheap $20 chair for a high volume venue could be a liability. Chairs that are going to be used frequently need to be soundly made and durable. Or if you will not be using your chairs often, keep in mind the aesthetics of what you are purchasing. The finish on a $20 chair might not be as refined as you would like to display in your home. If spending a little more meant that you would be getting a chair that is not only beautiful but long lasting but it be worth it? 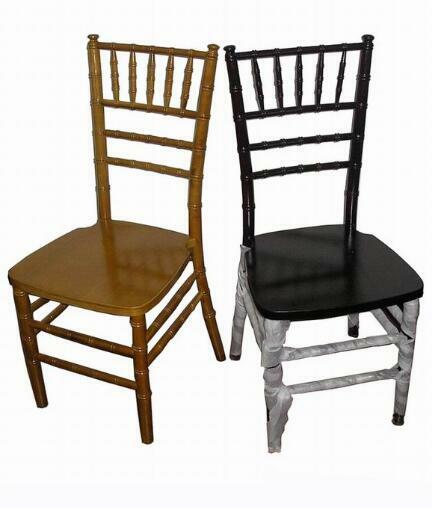 When researching Chiavari Chair manufactures and sellers you should be sure to get a sample chair from any company that you are considering buying from. This way you can put each option side by side, do your own testing and comparisons, and make an educated decision that you know you will be happy with.